This is a fascinating introduction to an ancient and intriguing pursuit. 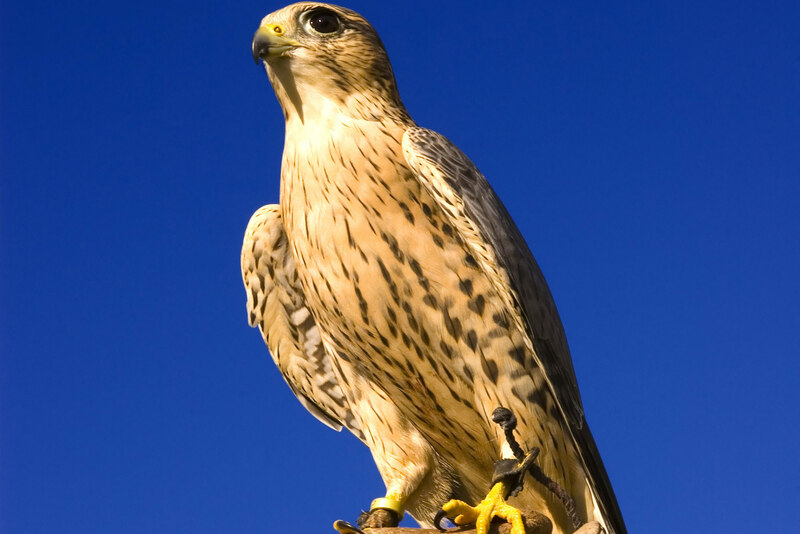 See for yourself an extraordinary relationship between man and bird of prey. 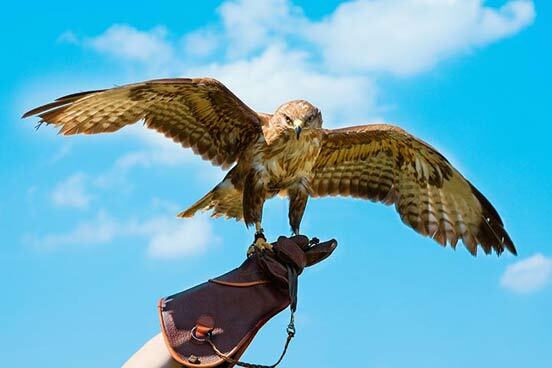 Falconry was originally introduced as a means of obtaining "food for the table". 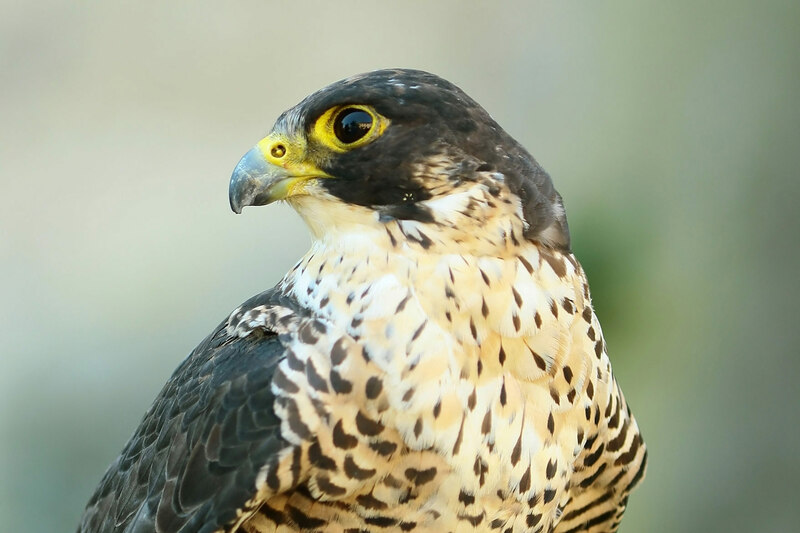 In Medieval Britain birds of prey were often present at grand occasions such as pageants, weddings and jousting tournaments. Even today seeing these magnificent birds up close is a very special experience and one which you won't forget. You'll handle the birds yourself under the watchful eye of the professionals (depending on location), before they take over to perform an impressive aerial show. You will have lots of time to take some fantastic pictures of you and your new feathered friend! This experience is available on selected weekends, March to October. This experience is for one person. There will be other people there on the day. There is no minimum age, but all children 16 and under must be accompanied by a paying adult. I learnt a lot and had a brilliant time Very good leader, nice fellow participants. I would never have done this if someone hadn't bought the experience for me. 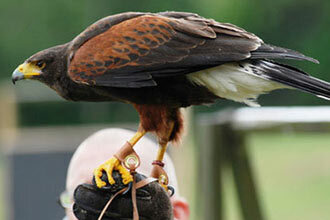 I've always been interested in birds of prey and thought I knew a lot about the subject but how wrong I was. Being so close to a Peregrin Falcon streaking past us at full speed was the icing on the cake. Great day. My friend gave me the ticket for my birthday - what a wonderful 3 hours I had in a beautiful area of the country. 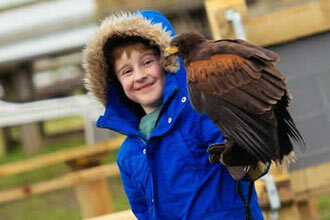 The 'hands on' experience with the birds was fantastic!